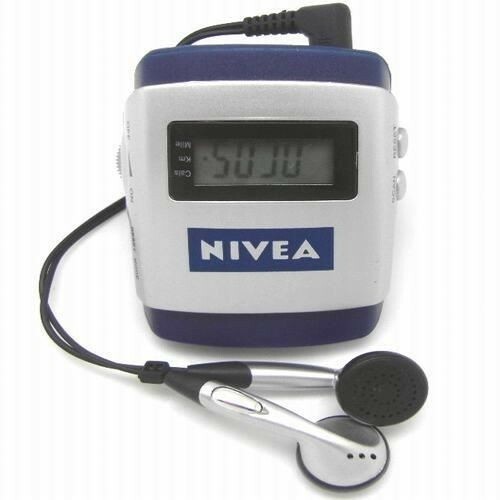 Multi-function Pedometer with FM radio, with stereo ear buds. 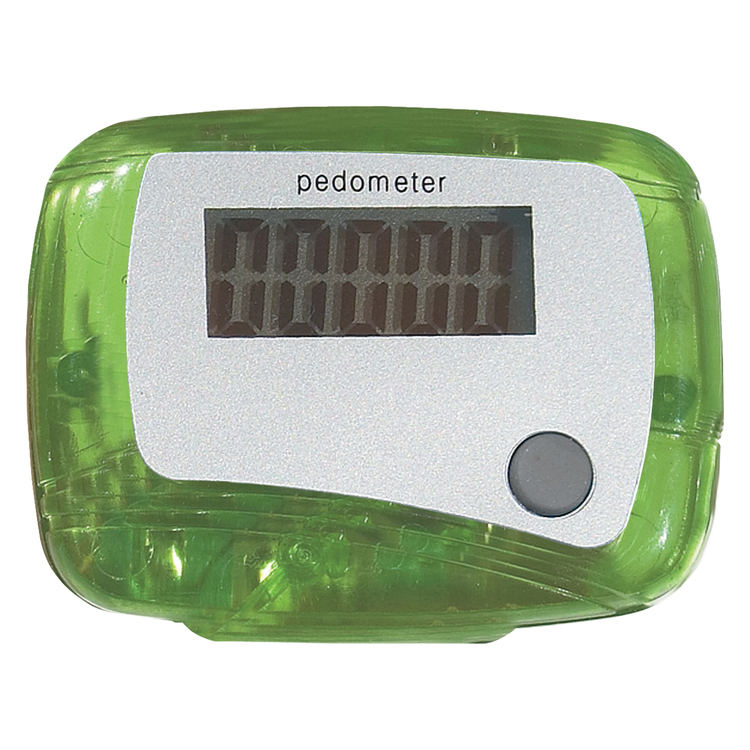 The pedometer calculates steps, distance, time, calories burned. This Smart bracelet links to your smart phone via wireless Bluetooth connectivity. Support for Android 4.3 and above, IOS7. 1 system version and above. Download the free app to access pedometer data, Main functions: sports pedometer, calorie consumption, kilometers, sleep monitoring, vibration alarm clock, reminder calls, low battery reminder. 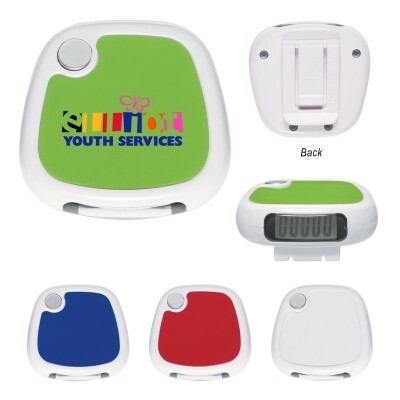 Custom logo can be imprinted with all colors. Price includes 1 color 1 side 1 location with silkscreen imprint. 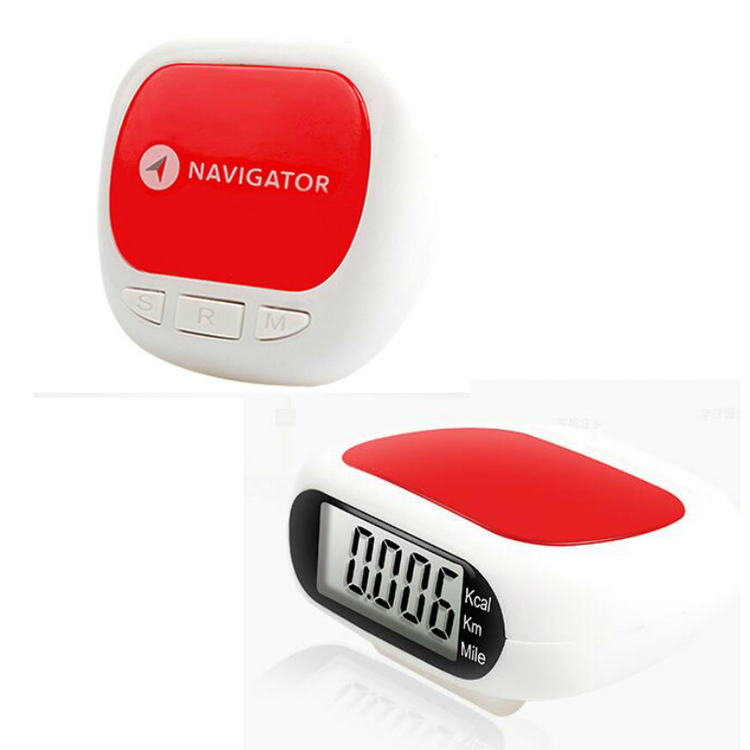 This heart-shaped pedometer is made of ABS, measuring 2-3/16 x 1-1/2 x3/4 inches. It can be used to track up to 99,999 steps along with calories burned and it does help to keep one healthy. Powered by 1 * AG10 battery (included and installed), it is energy-efficient. Custom logo can be printed on the blank area. 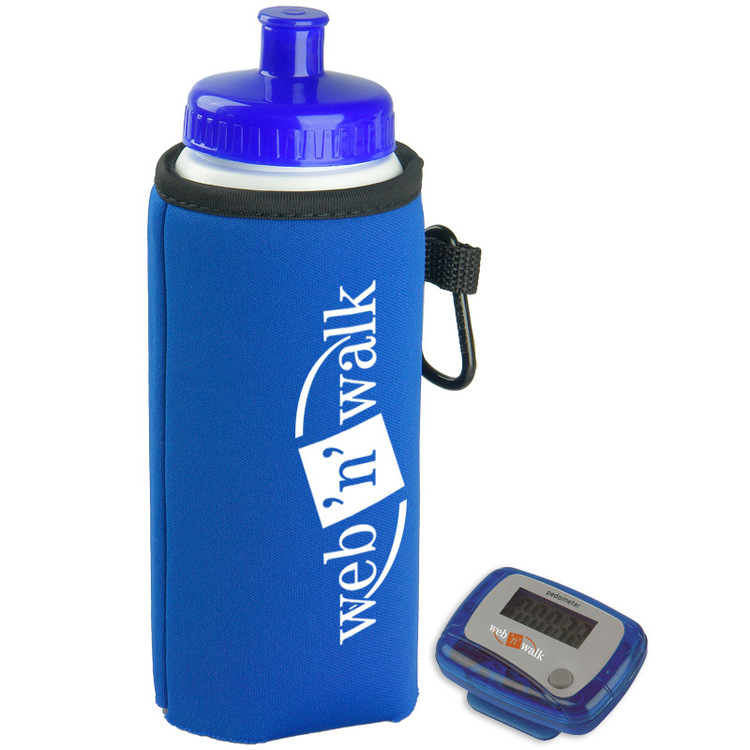 This handy giveaway is perfect for any business, project, conference, convention, especially for the healthy salon. Take action now! Hot sale! 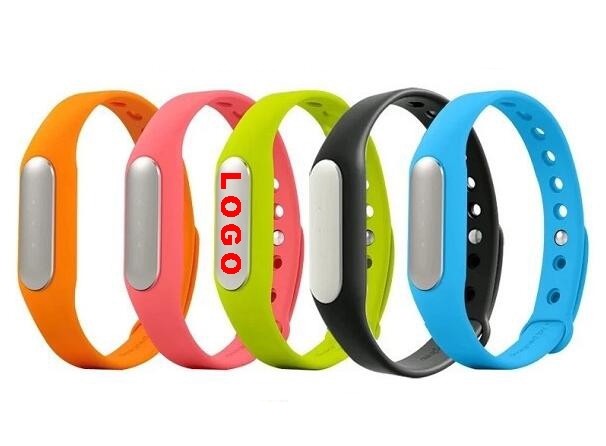 materials are made of high quality silicone strap, soft and comfortable to wear. 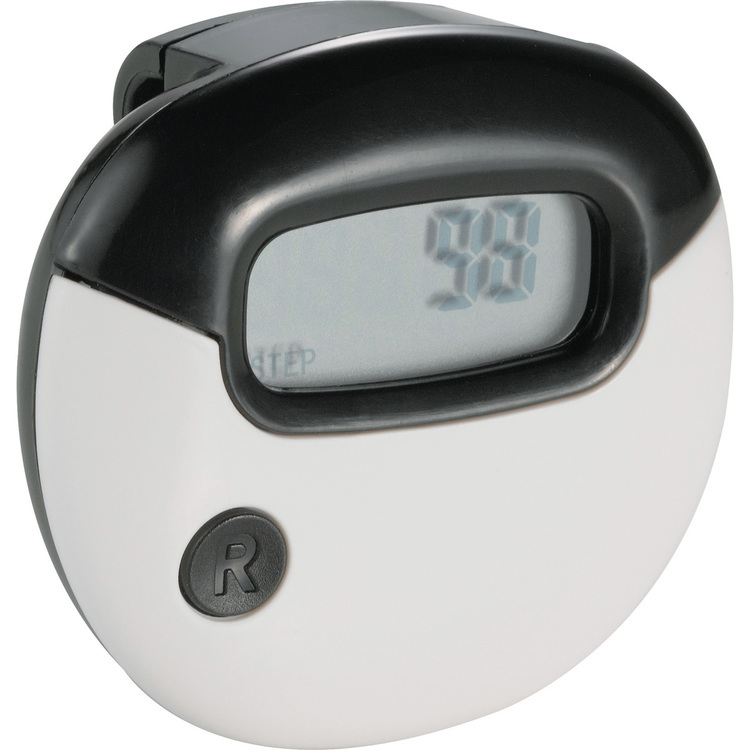 Displays steps, distance, calories, heart rate, floors climbed and activity intensity. Humanized design, with gesture recognition function, You only need to raise and turn your arm when wearing, watch screen will automatically light up. 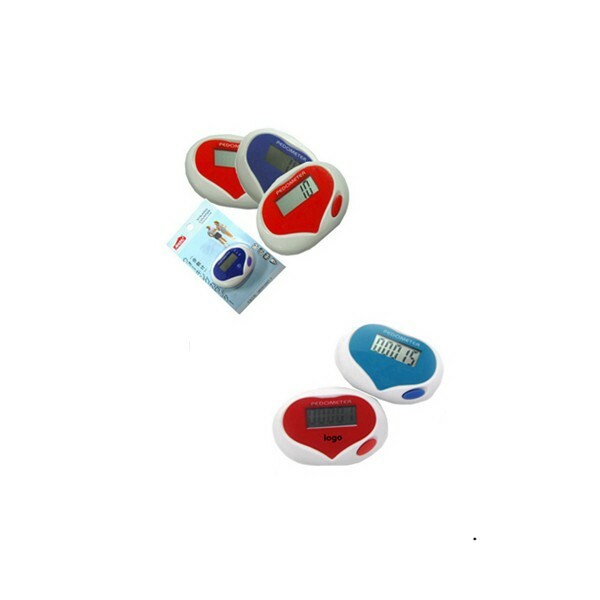 The digital pedometer is made of ABS. Healthy living starts with running. Energy saving design and calorie counting. 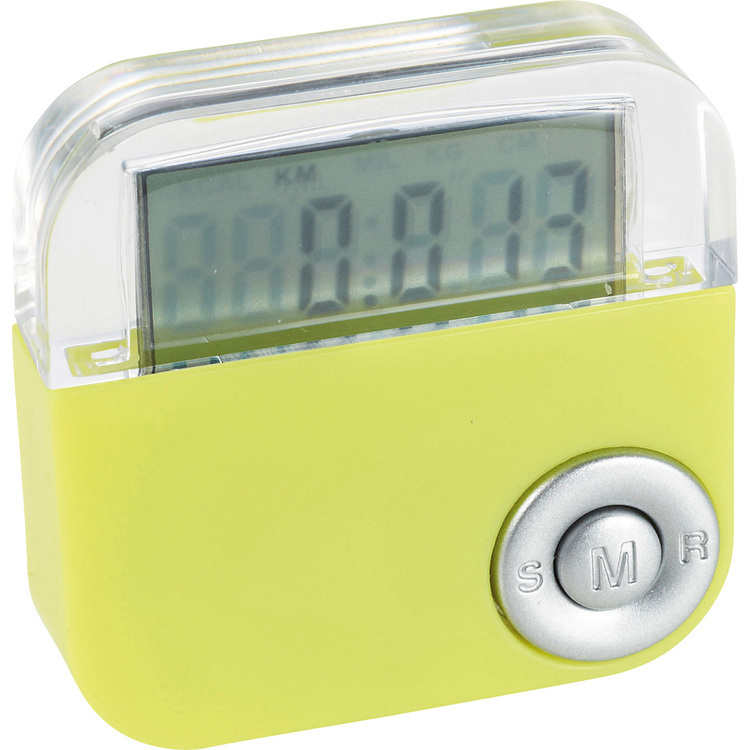 This pedometer calculates all your estimated steps in miles. The belt clip attachment makes gives you added convenience and mobility. Price includes 1 color 1 side 1 location imprint. Touch Buttons To Change Functions. 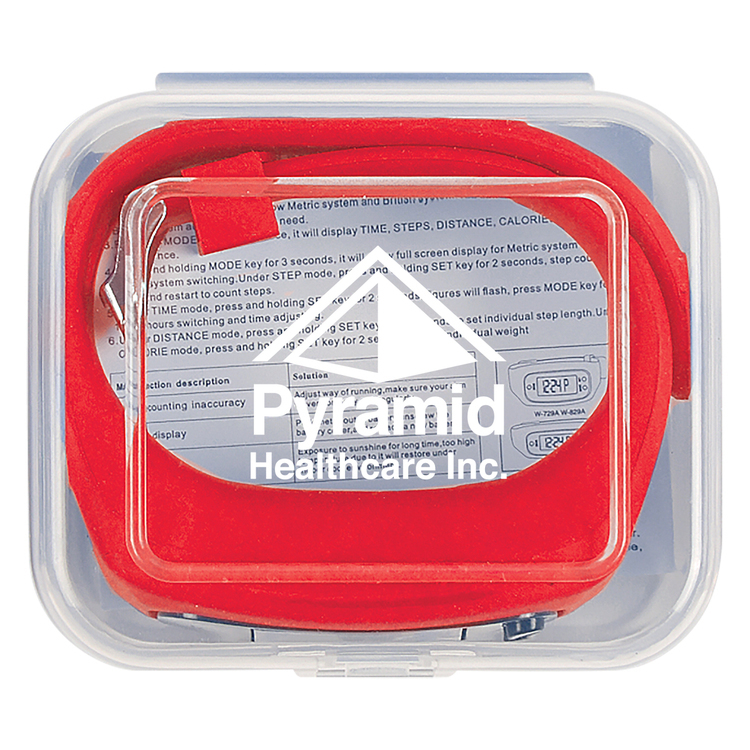 Clear Plastic Case For Easy And Convenient Storage. Entice more people to support your brand with this health & fitness kit! It's perfect for athletic and active clients who need a little help along the way to their physical goals. They can use the packet of muscle gel to soothe soreness and keep track of their steps using the pedometer. This comes inside of a nylon pouch available in four different colors. Add your branding and increase the visibility of your business! 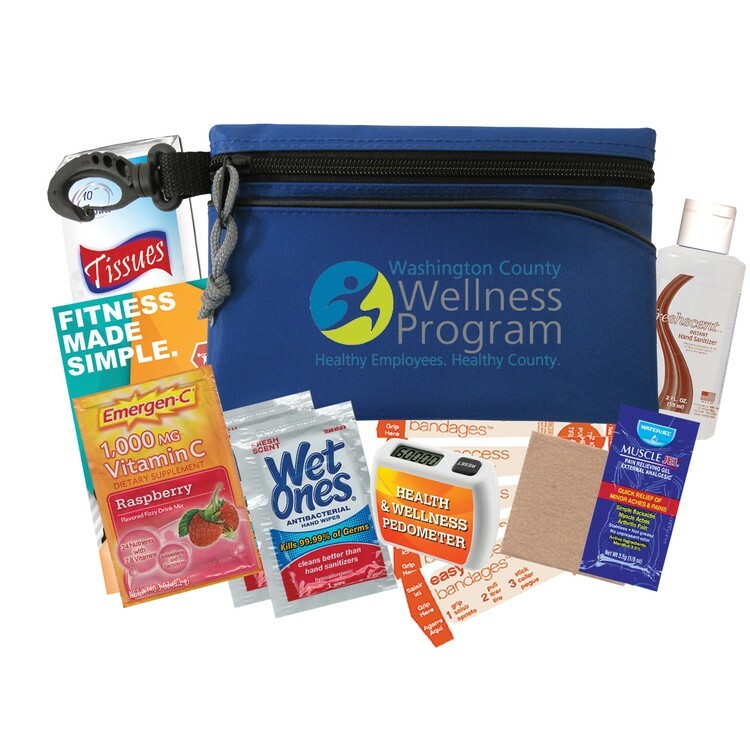 This kit includes 1 Digital Pedometer, 1 Hand Sanitizer Bottle, 1 Tissue Pack, 1 Fitness Guide, 1 Emergen-C® Packet, 1 Moleskin Blister Pad, 1 Muscle Jel Packet, 2 Wet Ones® Wipes, and 5 Bandages. 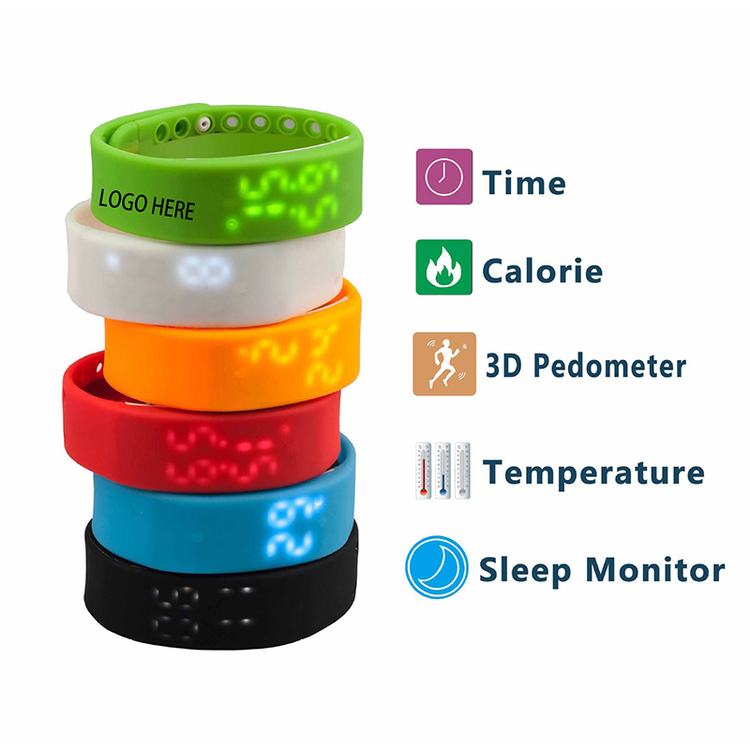 The wristband pedometer is made of silica gel. 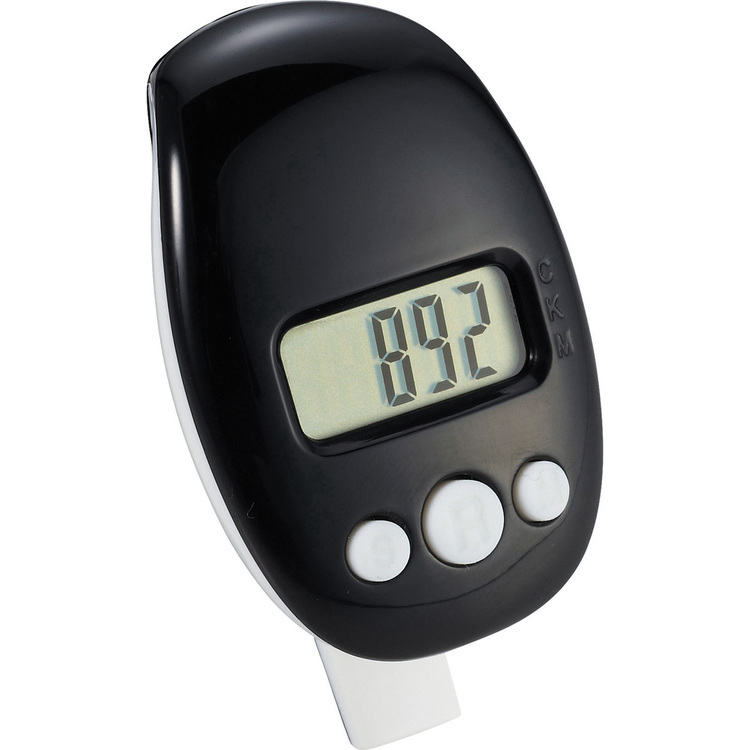 It can be used for step counting and timing. Custom logo can be imprinted with all colors. 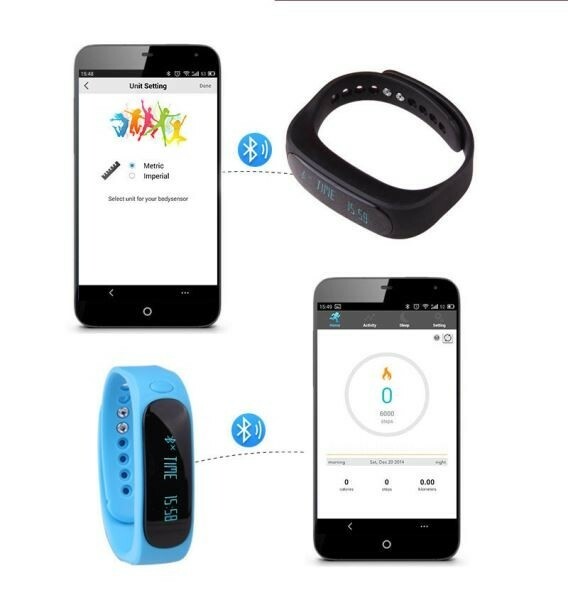 Features: Sleep monitoring: deep sleep/light sleep, sleep quality monitoring long and when you sleep, the silent alarm clock, wake up you at the same time will not wake up people around you.Movement monitoring, pedometer, exercise mileage, calorie consumption. Language: English. Interface: USB charging port body comes. For android OS, display the in-call number. 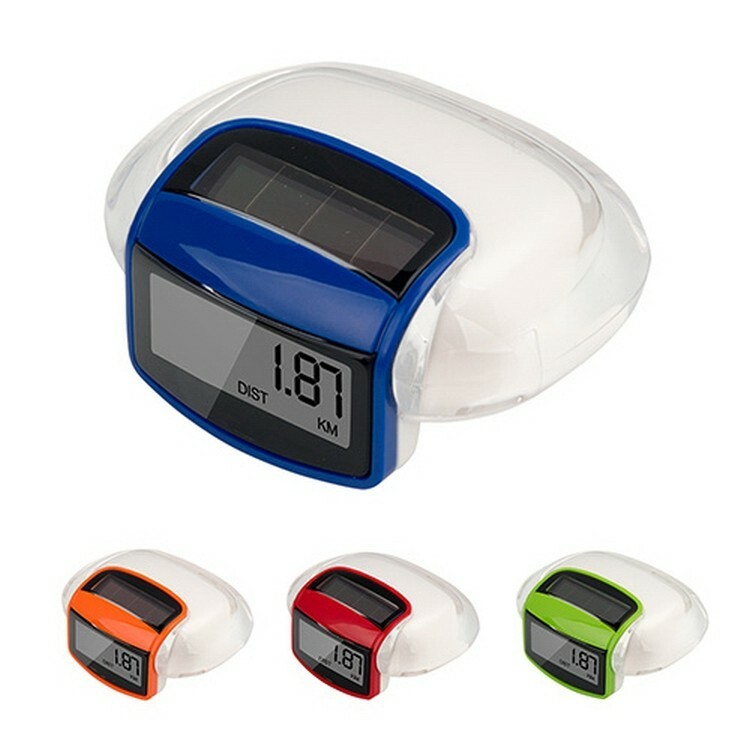 For IOS,display " Incoming call"
Multi Function Digital Solar Pedometer with a lightweight and beautiful outline, there is a clip on this digital solar pedometer. Can imprint with a logo location. Any other requirements, let me know. 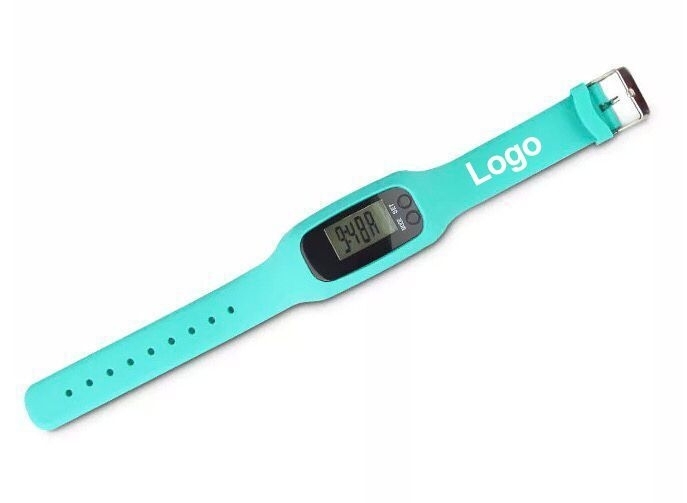 The Emperor Pedometer features an LCD display, with functions that include a digital clock and a step counter that measures distance in mileage/kilometers and calories burned. It also comes with an auto-off power saving function and a handy belt clip. 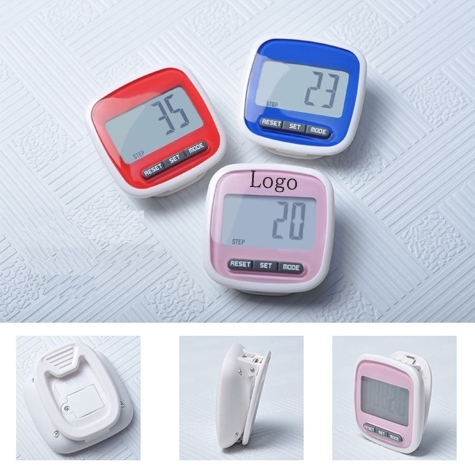 The Pedometer and Safety Whistle features an LCD display, counts steps, tracks distance in mileage/kilometers and the number of calories burned. It also has an auto-off power saving function and a belt clip that functions as a whistle. 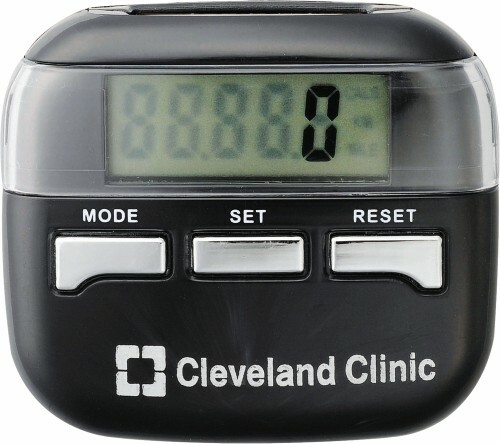 Solar-powered pedometer measures calories burned, steps taken (1-999,999), and distance traveled. Stride and weight settings. Belt clip attached. Includes instructions. SimplyFit to help you get started and maintain an active lifestyle – the best way – simply. Product which helps you make better choices, is easy to use every-day, and is affordable! 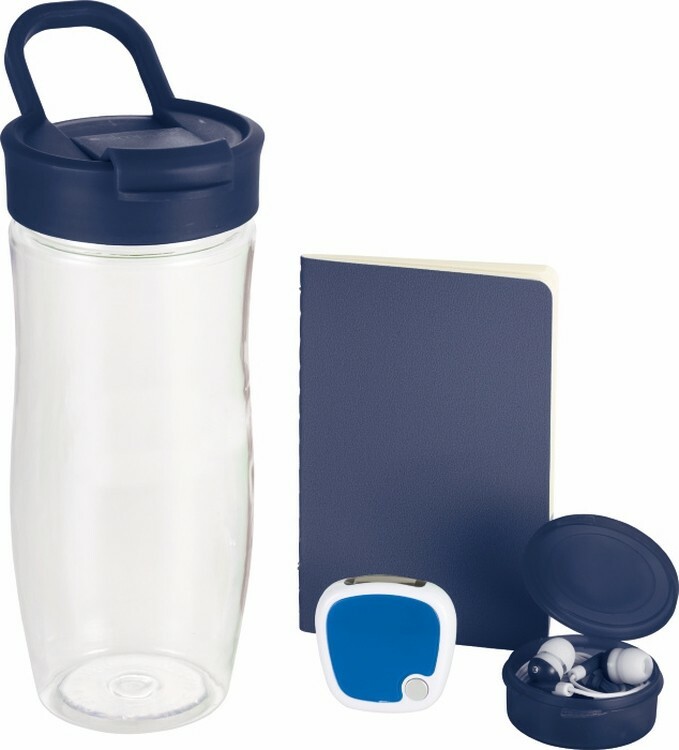 This kit includes one each: SimplyFit Water Bottle, SimplyFit Earbuds, SimplyFit Jotter (1631-04), & TrackFast Step Pedometer (1630-25). Pricing includes a one color / one location imprint on each item. Available for Sure Ship.